There are many benefits of adding a weekly Pilates class to your busy schedule. The principles of Pilates focus around controlling your breathing, centering your core and focusing on the correct alignment of your spine, all this is done before starting each of the moves. Pilates uses precise controlled movements to build strength, flexibility and endurance. Pilates is also an active way to improve posture and joint and muscle flexibility, something which cardio addicts will often neglect. Pilates work out’s are one of the best ways to add definition and strength to your muscles whilst keeping up with a healthy diet and regular cardio exercise. It involves body control and conditioning that wont result in ‘bulky’ muscles but instead will tone and strengthen. Many women tend to focus solely on cardio workouts in order to lose weight and tone up. However your body needs a combination of cardio and strength training to achieve results. Pilates is an ideal choice for women wanting to add strength and conditioning training to their weekly program. 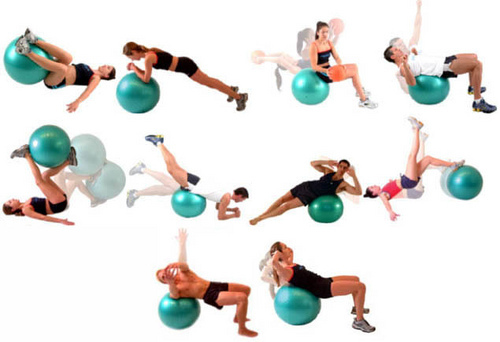 All the muscle groups are used and targeted in a single workout, often without using weights. Modifications to each of the exercises allow for a range of skill level and abilities. You can challenge yourself further by choosing the more advanced version of the exercise and increase the intensity as your body conditioning improves with time. Joseph Pilates was a firm believer in a mind and body connection throughout the movements. Pilates can help to unite the mind and the body through the practice of the exercises through total control. All the movements are flowing and integrate body concentration and control throughout. Pilates can provide you with a refreshing mind and body workout, which has also been proven to reduce stress. Over the last 10 years Pilates has gained popularity. Many professional athletes now use Pilates as part of their training regime. The Pilates method is taught in a way that will suit each person, everyone can benefit. So why not try something new and add a Pilates class into your weekly workout regime :).